I was really excited about this trip for a couple of reasons. This would be my first international first-class flight. 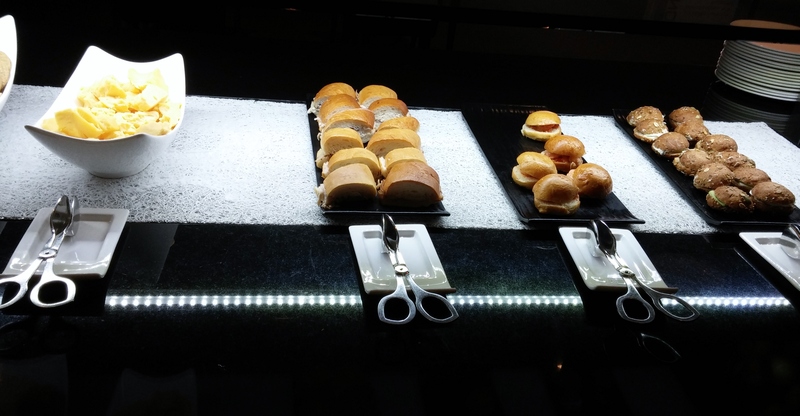 Also, I would get to experience the Cathay Pacific (CX) first class lounge in HKG for the first time. I booked the flight with 67,500 American Airlines (AA) miles one way. Getting CX first class for that amount of miles is a terriffic use of AA miles and is the standard low-level amount of miles required. In contrast, it took 70,000 Delta (DL) skymiles to get the low-level return award in business class. The good news about the return is that the business class would be on Korean Airlines (KE). KE has a very good business class product and service especially on their A380 with a walk-up bar which I would be flying from ICN to ATL. The flights would bookend my Southeast Asia expedition to Thailand, Cambodia and Vietnam. But first things first so to speak. It would take three flights to get to Bangkok. 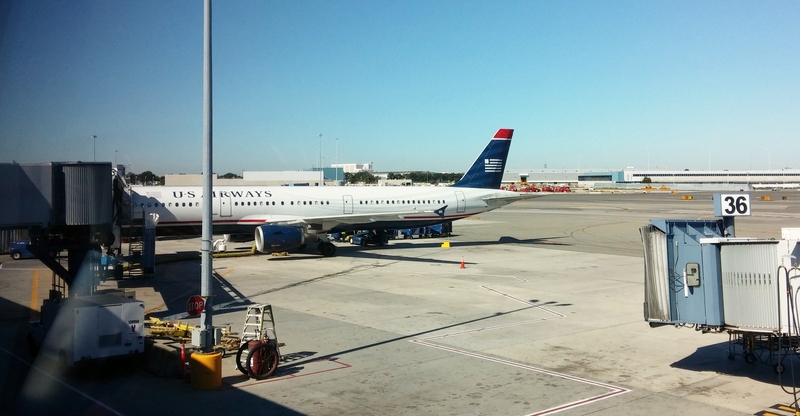 The first flight was on USAir (US) from CLT to JFK. It was a fine morning for flying. 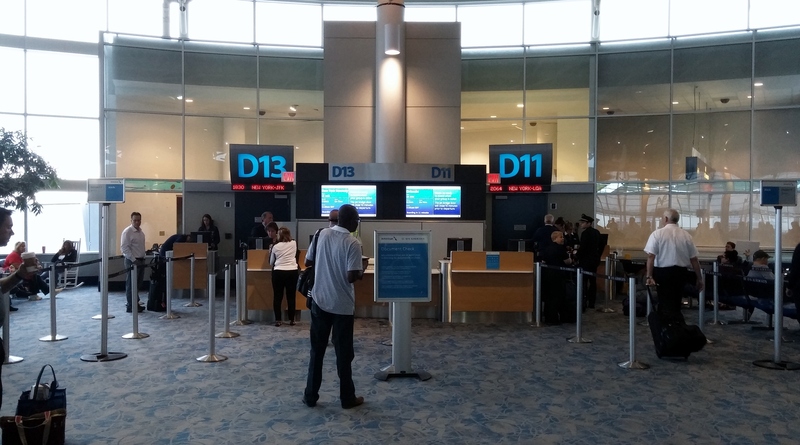 My departure was from the D concourse, which is one of the nicer concourses at CLT in terms of services and amenities. It stil has the ubiquitous dull carpet that I hate. Boarding was smooth and I took my seat in the A321 first- class section. 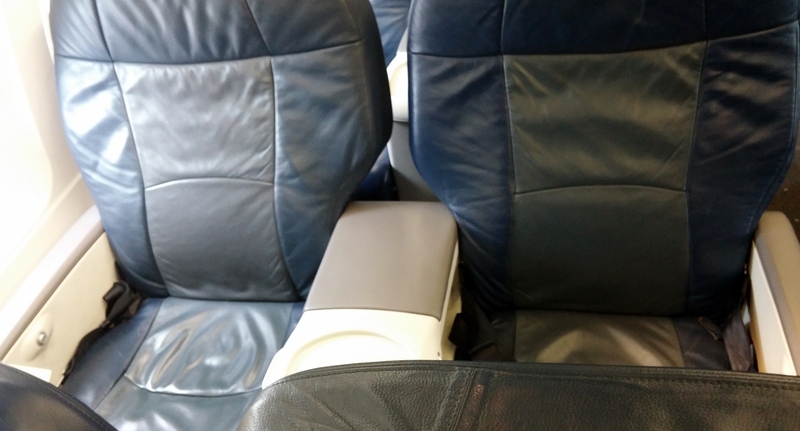 I find the first-class seats on US and AA flights have a tad more legroom than delta flights and there is definitely more personal space for drinks and snacks. 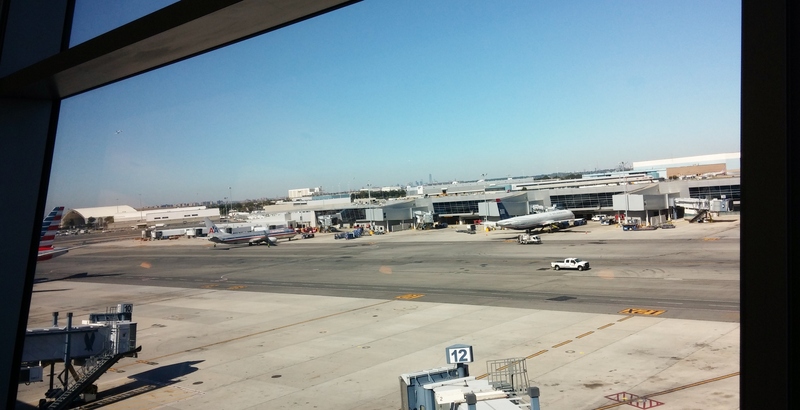 The flight to JFK was uneventful, and we were soon at the gate in JFK. 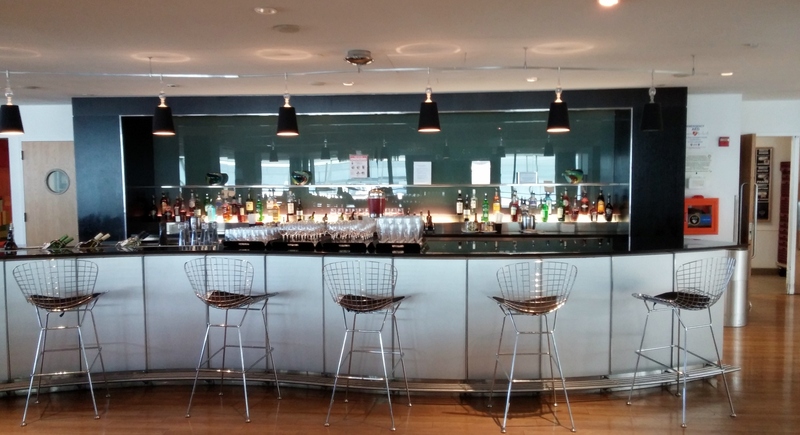 Since I was flying on an international first-class ticket, I could use the AA JFK Flagship Lounge and the first-class lounge used by CX at JFK. I decided to stop at the Flagship lounge first since it was in Terminal 8 which is where our arrival gate was located. 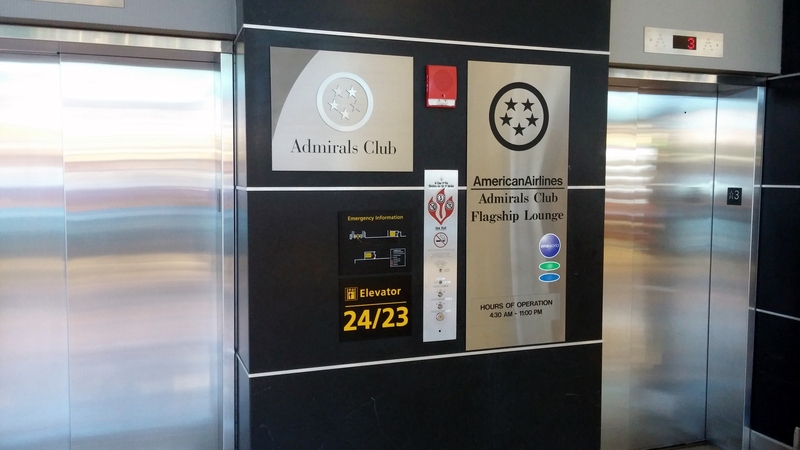 There are two Admirals clubs in Terminal 8. The one with the Flagship Lounge inside was in the main portion of the terminal so I had to take the tunnel under the tarmac to get there. You take the elevator up to second floor to get to the lounge. It has a good view of the airport activities below. I had never been in a Flagship Lounge. 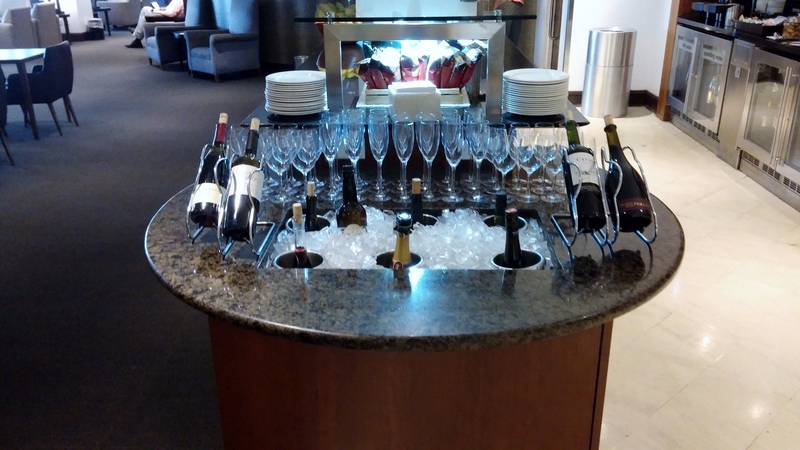 I was anxious to compare it to a normal Admirals club. 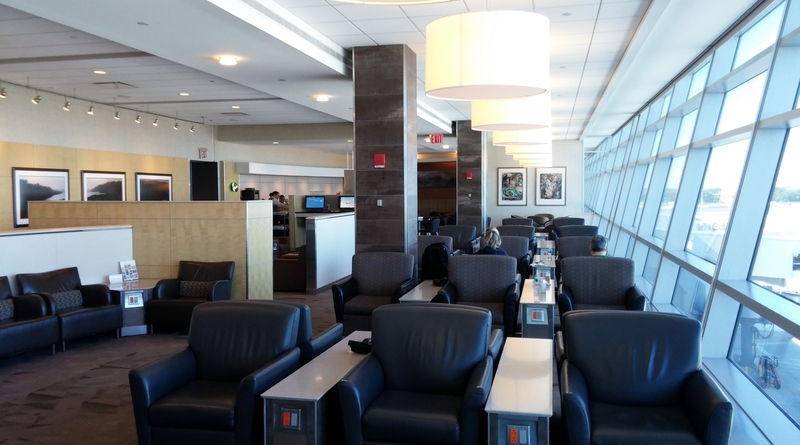 The lounge had plenty of comfortable seating with access to electrical outlets. Wifi was good. 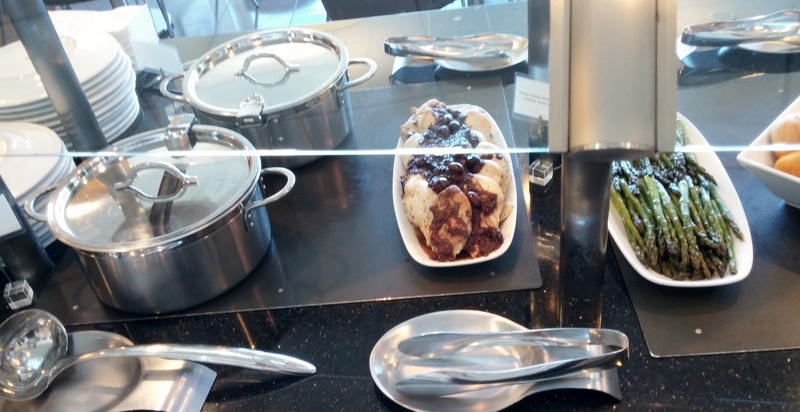 There were showers inside the Flagship lounge so you wouldn’t need to go into the Admirals club portion to use one. 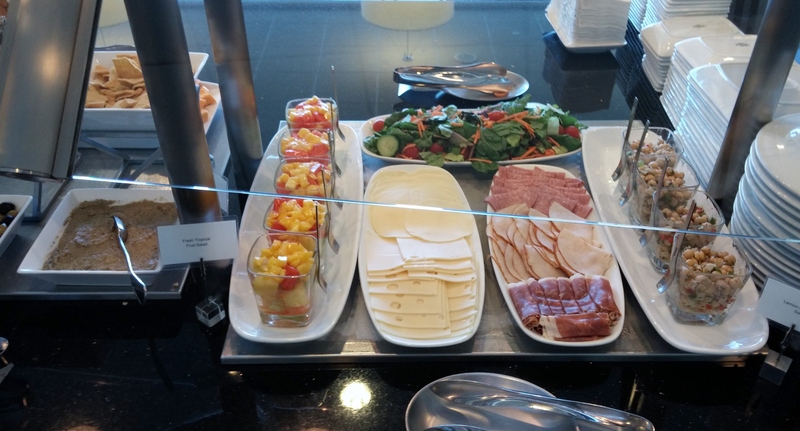 The food selections were elegantly presented and superior in variety and quality to normal Admirals club fare but below the standard I would expect at a first-class lounge of a foreign carrier. I arrived as the attendants were switching from breakfast to lunch items. 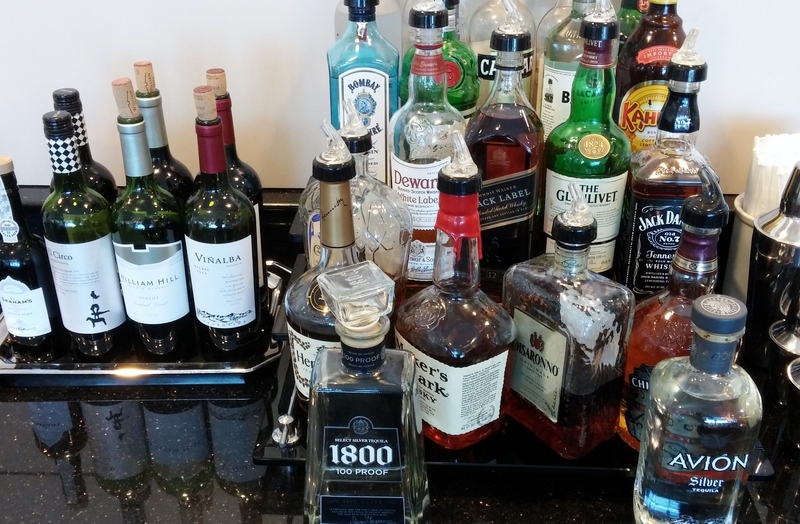 The selection of liquor was more like what I would expect in a first-class lounge. I only spent about 30 miutes here to grab a small bite, charge the phone, and check e-mails. Then it was off to Terminal 7 to check in for the CX flights. 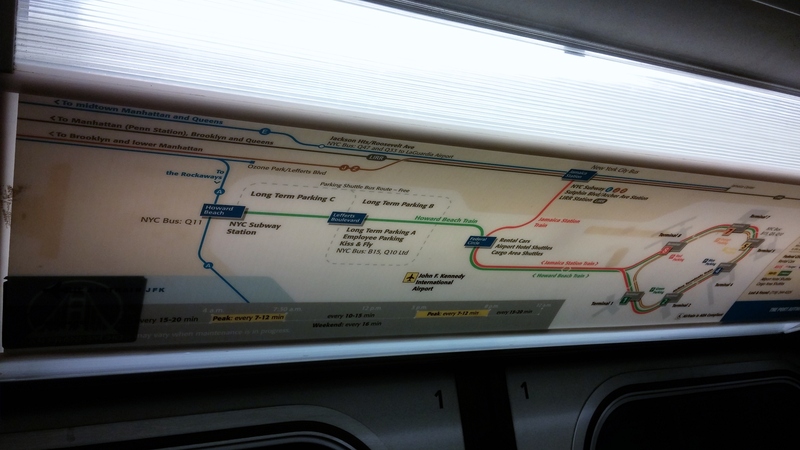 I followed the signs to get to the train that runs between the terminals at JFK. There was no wait to check in at the CX first-class check in at Terminal 7. 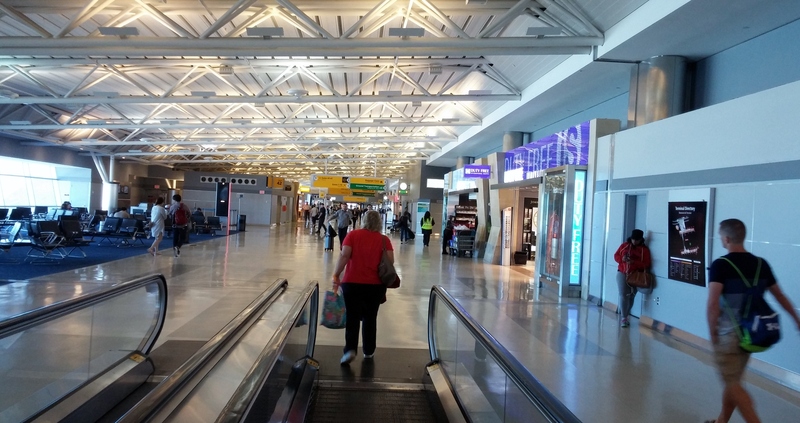 At JFK, CX uses the British Airways (BA) check in and lounges. It was a short walk to security, and after clearing, I turned left and took a small escalator up tp the BA lounges. 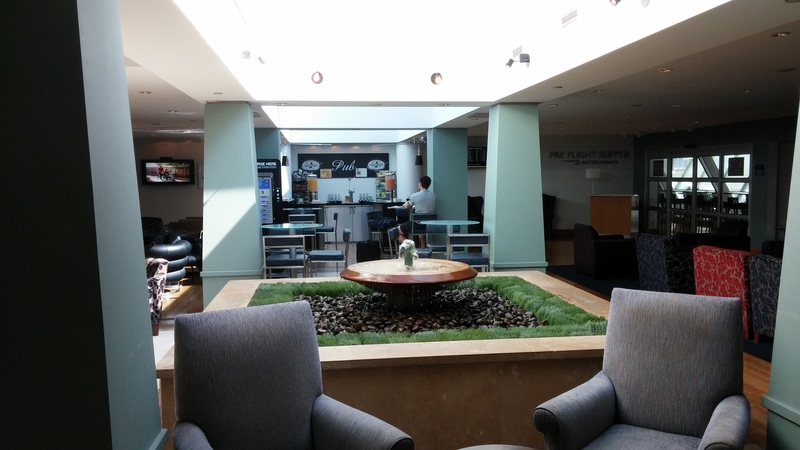 The BA first- and business=class lounges use the same entrance. 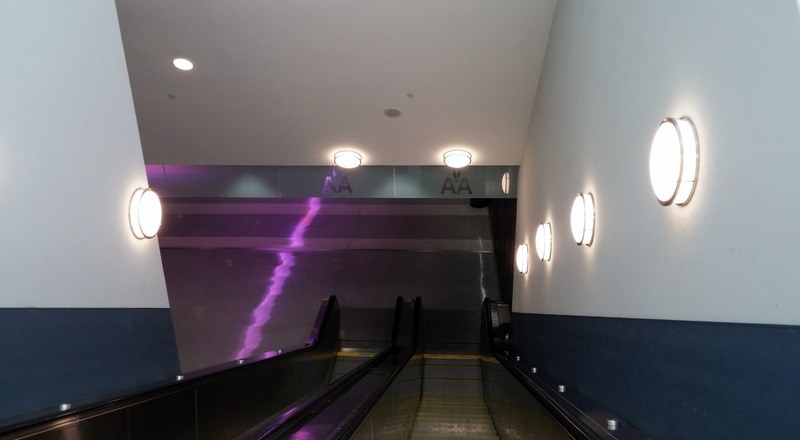 Those with first-class tickets turn left to enter the first-class area. 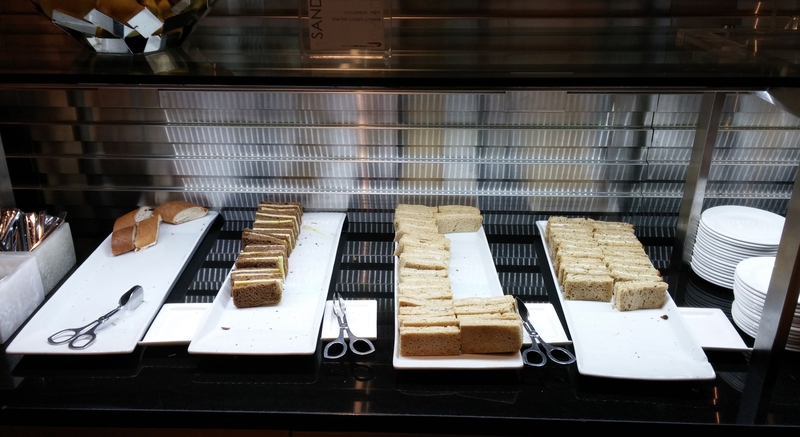 I must say that upon entering I was immediately unimpressed with the first-class lounge. The furnishings were old and drab. 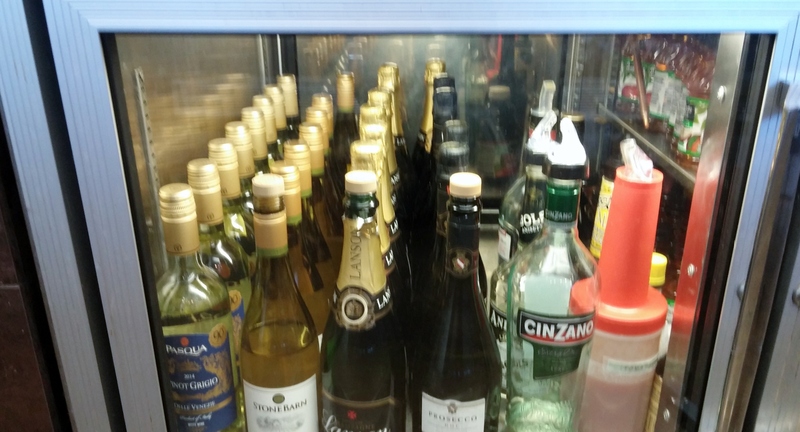 The selection of liquor and food was more inline with my expectations. 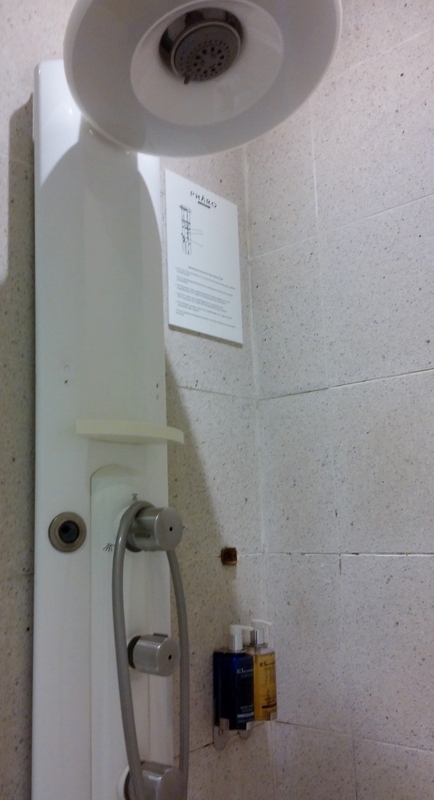 I wanted to take a shower before the long flight to HKG, but the only showers were in the business-class lounge. 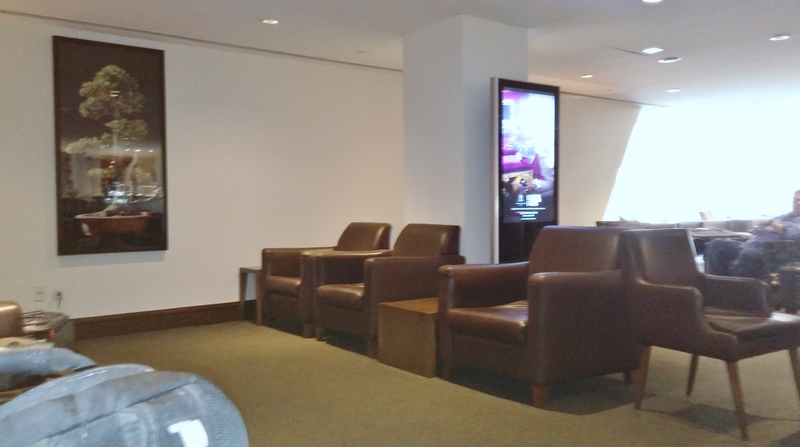 I went across the hall and found that the business-class lounge was actually nicer in appearance thn the first-class lounge. 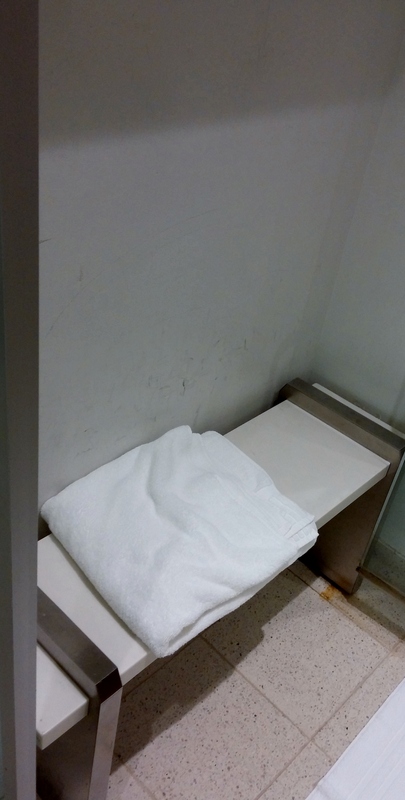 The showers in the BA J longe were nice but nothing to write home about. 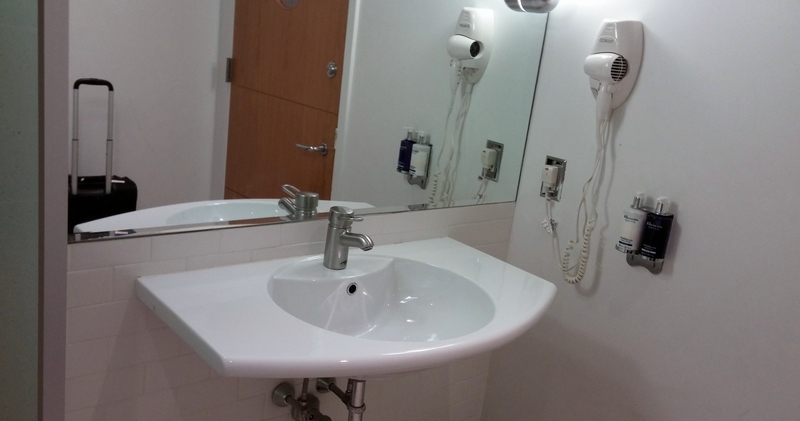 There was a hair dryer which is something you don’t find in all showers. And the shower had instructions on how to use it. That is also welcomed because it often takes several minutes of trial and error to figure out how to adjust the temperature and get the desired shower head functions. After the shower I went back the the first-class area to wait for boarding since it had slightly better booze. 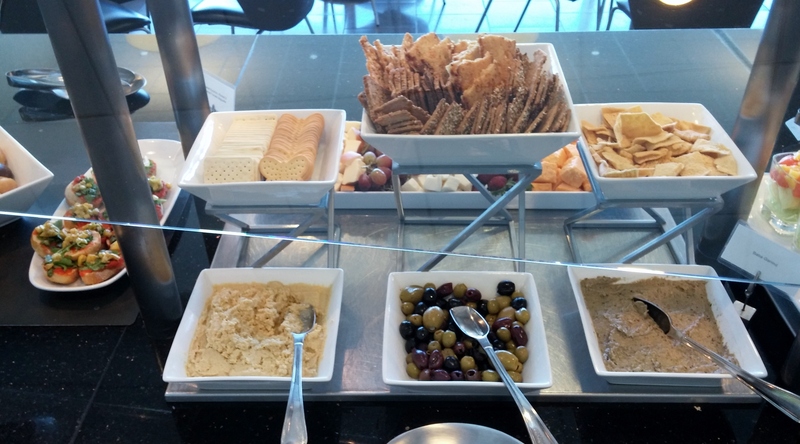 Given my disappointment with the BA lounge, I was happy to later learn that CX is going to abandon the BA lounges and open its own lounges at JFK in 2016. 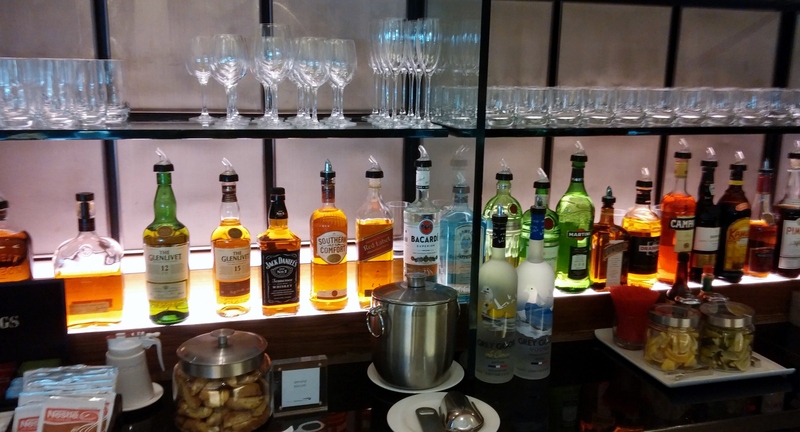 Based on my experience with the Bridge, the CX business-class lounge in HKG, CX knows how to do a lounge. 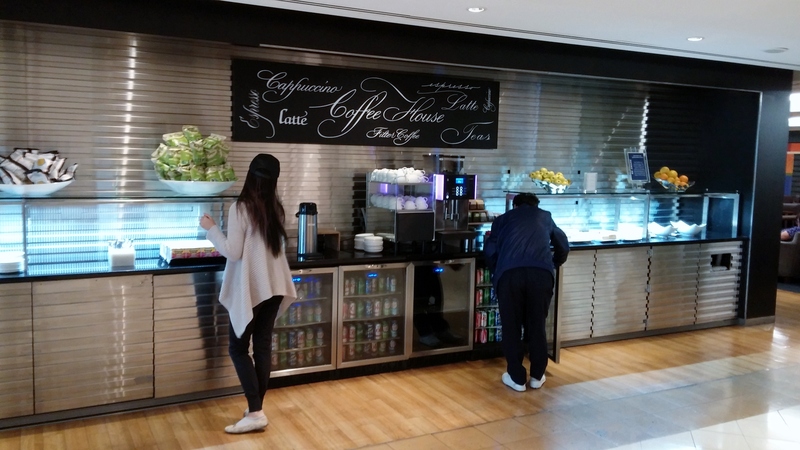 On this trip I was looking forward to hanging out in the Pier, the recently remodeled CX first-class lounge in HKG. Thhat review is in Part 2.